We gather to make present that great and saving deed by which Christ has forever conquered sin and death. Episcopal worship is liturgical. 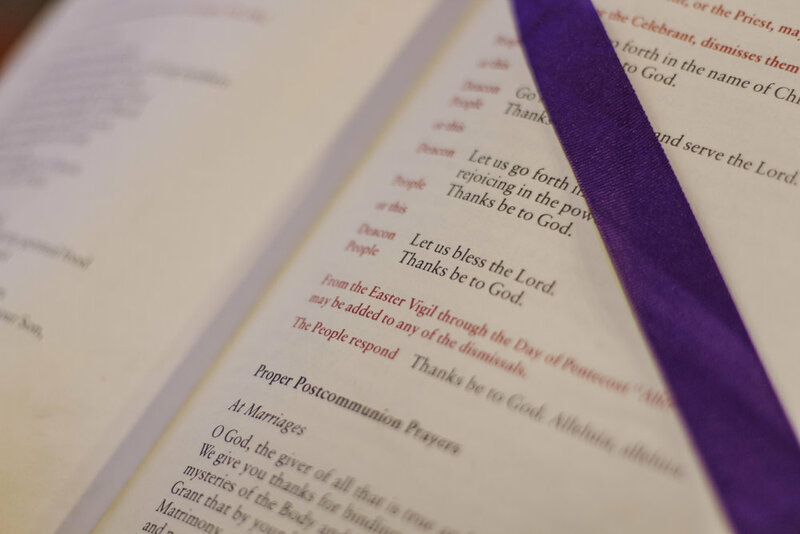 The ancient Greek root of liturgy means “a public work or ministry.” Today, this means that the service follows a set form, and everyone has a part to play. Week to week, some parts of the service change, while many texts, prayers, and chants remain the same. This rhythm of worship helps us to “keep our hearts and minds in the knowledge and love of God.” Each church service builds upon the ones that came before it, and through repeated contemplation and prayer, we create a space that helps us to know God and each other more and more deeply. 7:45 AM - Start your day with intimate, contemplateive worship at the early service. This service revolves around the spoken word; you will hear readings from the Old and New Testament, recite prayers, and take the Holy Eucharist. 10:15 AM - At the second service, the congregation and choir celebrate the Holy Eucharist with hymns, choral and organ music. Nursery care and Sunday School are offered during this service. Before communion, the children return from Sunday School to join their parents in receiving Communion. All children are welcome: we love the energy that the children bring to this service! We take the Holy Eucharist every week at both the 7:45 and the 10:15 services. All baptized persons are invited to receive Communion with us and we hope that you will. You don't need to be Episcopalian. If you have been baptized in any Christian tradition and you feel drawn to receive Communion, please do so. 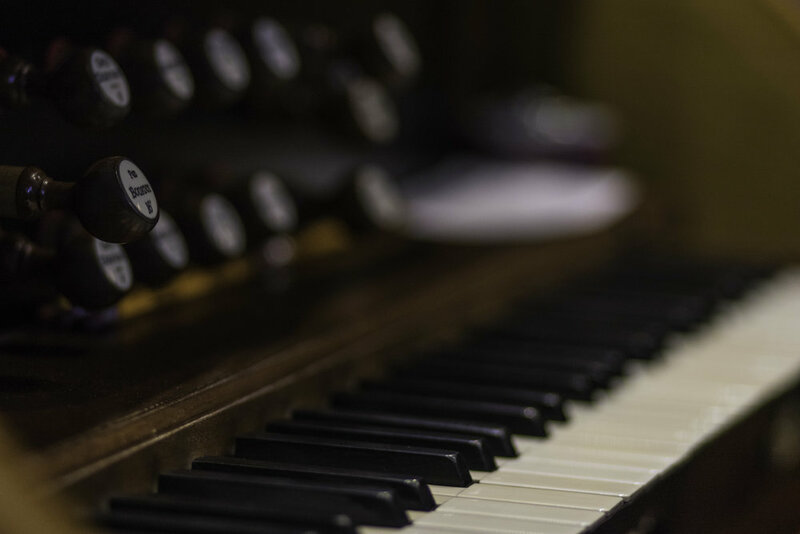 Sacred music was a cornerstone of the ancient Christian church, and at Church of the Angels, we place particular emphasis on it as a foundational part of our worship. As in most Episcopal churches, we draw our music from the Hymnal. Each service `contains several hymns, all of which are sung by the congregation and the choir, accompanied by our organist. The music and words can be found in both the large-print bulletin passed out at the door, or in the Hymnals in front of each pew. Don’t worry if you can’t read music or aren’t an experienced singer; instead, we invite you to dive in and follow along, and notice how it affects your experience during the service. Episcopal worship is inherently participatory in nature. We invite you to bring your voice to the recitation of the prayers and the singing of the hymns. If you would like to join the choir, our only requirement is that you be able to read music as we have a limited rehearsal schedule. We welcome singers of all voices. For further information, please contact the choirmaster at choirmaster@coa-pasadena.org. Christmas is always a festive time at Church of the Angels. At the Christmas Eve service, the first part of the liturgy is given over to a series of readings, carols, and anthems reflecting on the meaning of the Christmas holiday. The choir's offertory anthem often features a Renaissance ensemble as well as trumpets to add a festive note to the hymns. We end the service by a candlelit procession outside to the angel in front of the church while singing “Silent Night.” The service is followed by hot cider and fellowship on the patio. On Easter morning, our vigil begins before dawn, with a young person lighting a fire to remind us of the rebirth of the world in Christ. The Easter service is filled with singing by both the congregation and the choir. This is a popular time for baptisms, which are beautiful to witness against the backdrop of Easter lilies and other flowers that fill the church. As the sun rises, we celebrate the risen Christ with the Holy Eucharist. We then meet in the parish hall for breakfast and fellowship.